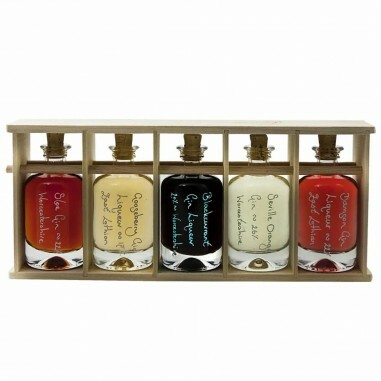 A hand crafted presentation rack which is designed to fit 5 of our beautiful Apotheker 40ml bottles. 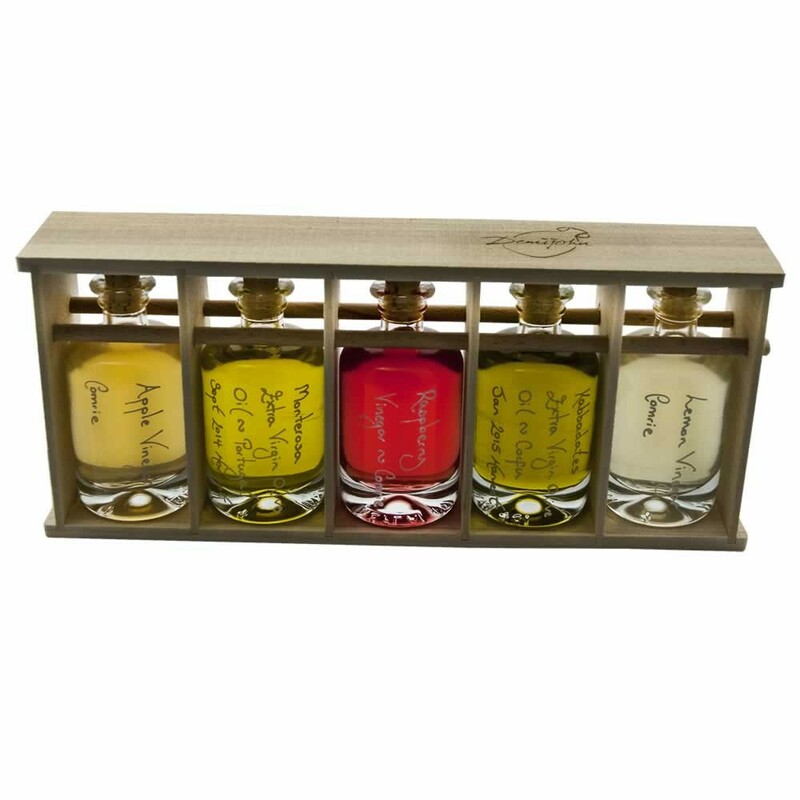 Simply choose the contents for each of your 5 bottles to create your own unique tasting set. The presentation rack is cut from poplar wood by our highly skilled cabinet and box maker in Cumbria. 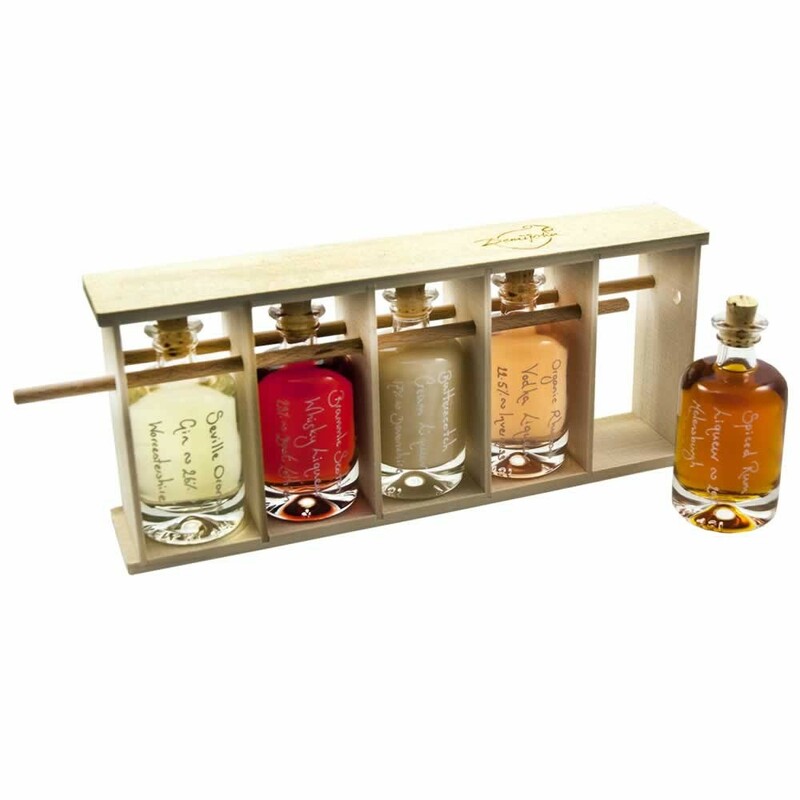 It has a clever wooden dowel locking pin which can be removed in order to release the bottles when required. Its uppermost edge is engraved with the Demijohn logo. 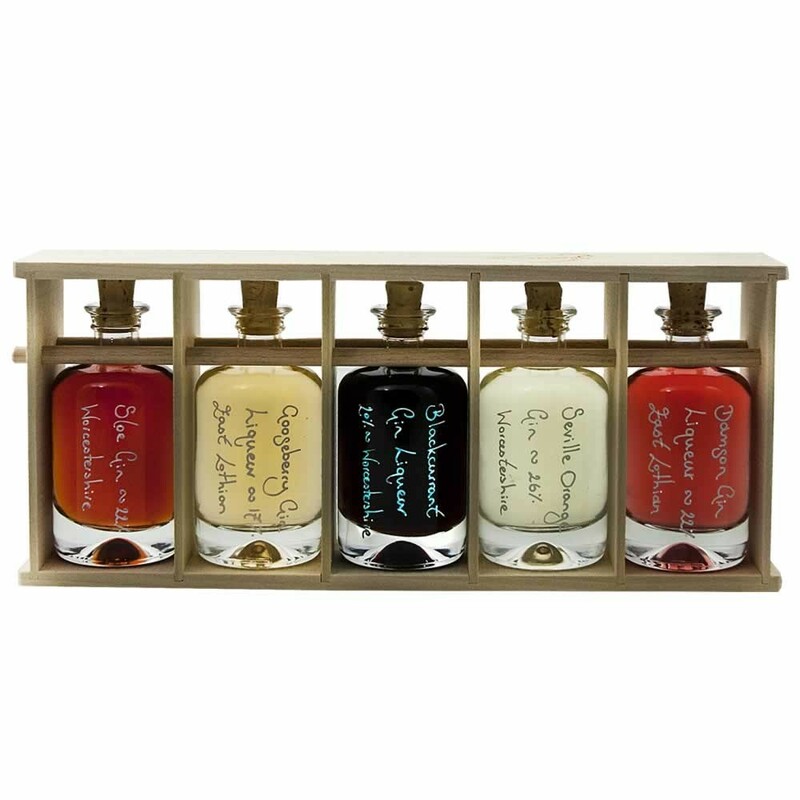 This rack is perfect for creating tasting sets or finishing off an important retirement, anniversary, birthday or wedding present. Simply choose the 5 products to fill your bottles with and we will pack it up for you. It can also make a very smart corporate gift and can even have personal or company details engraved on its lid rather than ours. If you would like further information on our engraving service or other corporate gifts solutions please contact us.